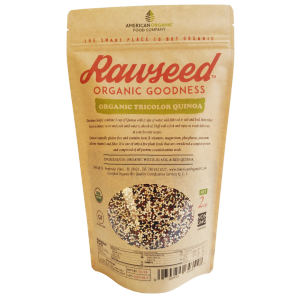 American Organic Food Company is a family owned company located in South Florida. We are direct importers of Himalayan Salt products. We are proud distributors of Supplements, Vitamins, & Organic food. Our online store allows us to serve you at a national level, being able to provide you a fast shipping service anywhere in the country. Priority Mail 2 - 3 days delivery. 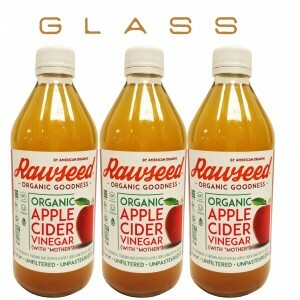 We have a mission to provide each health store and family in the US with certified organic foods, bulk herbs and herbal products, and artisan-crafted herbal extracts of the highest quality and best prices in the market. We are here to help you start or continue a healthier lifestyle. We have special prices for Health Stores, Farmer Markets, Bakeries & Co-ops. We are wholesale distributors working directly with farmers & producers, so there's no middleman and our goal is to keep our products high on quality and low on prices. 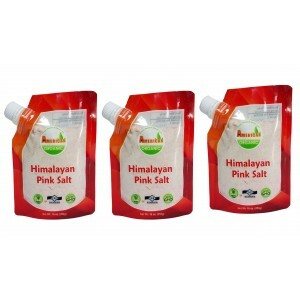 We also import and distribute Himalayan Salt products in bulk and in retail. We also offer private label on certain items. Please feel free to contact us with any questions. All sales are based on the following Terms and Conditions. This Agreement contains the terms and conditions that apply to your purchase from American Organic Food Company, a dba of MDJ Home Inc., entity named on the invoice (“American Organic Food Company, a dba of MDJ Home Inc.”) that will be provided to you (“Customer”) on orders for products sold in the United States. By accepting delivery of the products described on that invoice, Customer agrees to be bound by and accepts these terms and conditions. THESE TERMS AND CONDITIONS APPLY (i) UNLESS THE CUSTOMER HAS SIGNED A SEPARATE FORMAL PURCHASE AGREEMENT WITH AMERICAN ORGANIC FOOD COMPANY, A DBA OF MDJ HOME INC., IN WHICH CASE THE SEPARATE AGREEMENT SHALL GOVERN; OR (ii) UNLESS OTHER AMERICAN ORGANIC FOOD COMPANY (A DBA OF MDJ HOME INC.) STANDARD TERMS APPLY TO THE TRANSACTION. These terms and conditions are subject to change without prior written notice at any time, in American Organic Food Company’s (a dba of MDJ Home Inc.) sole discretion. 2. Other Documents. These terms and conditions may NOT be altered, supplemented, or amended by the use of any other document(s). Any attempt to alter, supplement or amend this document or to enter an order for product(s) which is subject to additional or altered terms and conditions will be null and void, unless otherwise agreed to in a written agreement signed by both Customer and American Organic Food Company (a dba of MDJ Home Inc.). 3. Governing Law. THIS AGREEMENT AND ANY SALES THERE UNDER SHALL BE GOVERNED BY THE LAWS OF THE STATE OF FLORIDA, WITHOUT REGARD TO CONFLICTS OF LAW RULES. 4. Shipping Charges; Taxes. Separate charges for shipping and handling will be shown on American Organic Food Company (a DBA of MDJ Home Inc.) with a valid and correct tax exemption certificate applicable to the product ship-to location prior to American Organic Food Company’s (a DBA of MDJ Home Inc.) acceptance of the order. The Customer is responsible for sales and all other taxes associated with the order, however designated, if applicable, a separate charge for taxes will be shown on American Organic Food Company’s (a DBA of MDJ Home Inc.) invoice. 5. Title; Risk of Loss. Title to products passes from American Organic Food Company (a DBA of MDJ Home Inc.) to Customer on shipment from Organic Food Company’s (a DBA of MDJ Home Inc.) facility. Loss or damage that occur during shipping by a carrier selected by American Organic Food Company (a DBA of MDJ Home Inc.) is American Organic Food Company’s (a DBA of MDJ Home Inc.) responsibility. Loss or damage that occurs during shipping by a carrier selected by Customer is Customer’s responsibility. 6. Return Policies. American Organic Food Company (a DBA of MDJ Home Inc.) products that are purchased directly from American Organic Food Company (a DBA of MDJ Home Inc.) by end-user Customer may be returned by Customer in accordance with American Organic Food Company (a DBA of MDJ Home Inc.) in effect 5 business days on the date of the invoice. We accept returns if the product was found to be damaged upon arrival or if the wrong item was shipped. Be sure you are ordering the right product. If you do have a problem with your shipment, please contact us through the Contact US link located at the bottom on the online store. 7. Products. American Organic Food Company’s (a DBA of MDJ Home Inc.) policy is one of on-going product update and revision. American Organic Food Company (a DBA of MDJ Home Inc.) reserves the right to limit order quantity at any time without notice. Prices and promotions are subject to change without notice. 8. Limitation of Liability. AMERICAN ORGANIC FOOD COMPANY (A DBA OF MDJ HOME INC.) DOES NOT ACCEPT LIABILITY BEYOND THE REMEDIES SET FORTH HEREIN, INCLUDING ANY LIABILITY FOR PRODUCTS FOR ANY REASON. AMERICAN ORGANIC FOOD COMPANY (A DBA OF MDJ HOME, INC.) WILL NOT BE LIABLE FOR LOST PROFITS, LOSS OF BUSINESS OR OTHER CONSEQUENTIAL, SPECIAL, INDIRECT OR PUNITIVE DAMAGES, EVEN IF ADVISED OF THE POSSIBILITY OF SUCH DAMAGES, OR FOR ANY CLAIM BY ANY THIRD PARTY EXCEPT AS EXPRESSLY PROVIDED HEREIN. 9. Stock. All items listed are in stock in reasonable quantities and ready for shipment within 1 to 2 business days. Large volumes of orders sometimes deplete our inventory, in such case we will notify you of the anticipated shipping date of the balance of your order. If you have need for larger amounts or truckload quantities shipped for fundraisers or to meet your production schedules please let us know so we will have sufficient quantities marked specifically for your order. 10. No Minimum Orders. Less than full case orders accepted. Actual shipping charged, minimal handling charge, based on the size of box used to ship your items. 11. How to Order and Payment Types. You can place an Internet Store order, E-mail (Contact US), or call-in. Internet orders are processed first as they automatically go into our production/packaging as they are received, 24 hours per day. Therefore, if you are in need of prompt shipping, an Internet Order will expedite your order. We accept Visa, MasterCard, Discover, American Express, Debit Cards, and PayPal. When you checkout, the payment type of your invoice will be pre-approved but not charged. We will send the charge through after we have verified the items we shipped, and the shipping is correct. You will in some systems receive an e-mail with the approved total first, then possibly a corrected lower total when we actually charge your card. We only capture the funds 1 time, even if you receive 2 e-mails as described above. 12. Acceptance. By ordering any product from American Organic Food Company (a DBA of MDJ Home Inc.) whether by clicking though over the internet, telephone, facsimile or otherwise, the Customer agrees to be bound by these Terms and Conditions of Sale, as well as the “Acceptance of Contract Terms” contained elsewhere in the American Organic Food Company’s (a DBA of MDJ Home Inc.) site (AmerOrganicFC.com).